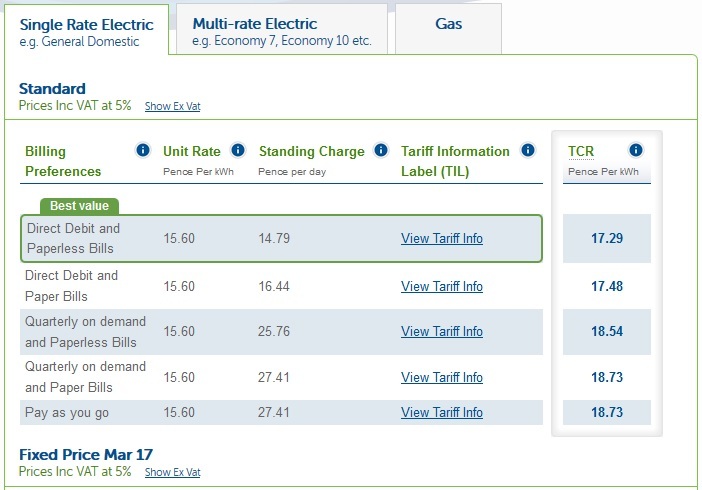 Why does Scotland pay more for electricity? It will probably come as no surprise that here in Scotland we have to pay more for our electricity than our cousins in England. Meanwhile the electricity companies who provide us with this electricity make heavy profits. Does this seem fair? No I don’t think so although you may have a different opinion. But how does this come to pass? Why do we pay more and how much more? As you can see the TCR for this property is 15.73 pence per unit which is 1.56 pence less than the Aberdeenshire property. So for our 4000 kWh user the bill would be £629.20 per annum. Which means that our Southampton property would pay £62.40 less than our Aberdeenshire property for their annual electricity. 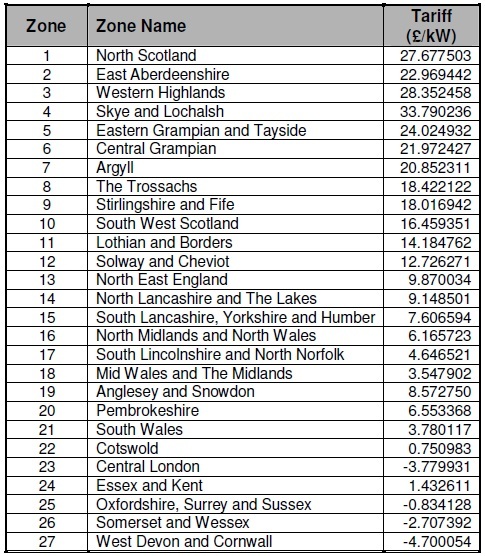 So our Aberdeenshire property pays almost 10% more than our Southampton property. 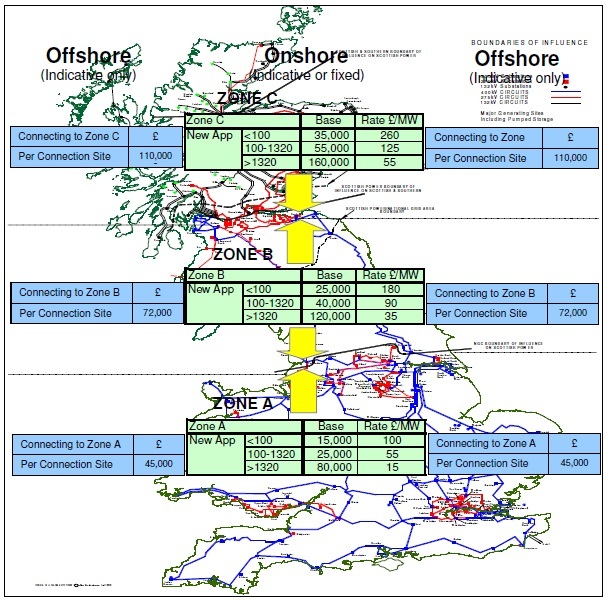 The reasons given for these discrepancies are “a combination of a locational element that reflects the cost of providing incremental capacity to generation on an area of the main integrated onshore transmission system, and a non-locational residual element which ensures that the appropriate amount of transmission revenue is recovered from generators.” In other words it costs more to get the power from remote areas to the main users in built up areas. The reality is that we in Scotland subsidise the rest of the UK, we pay more for the electricity we use and we pay more for the getting the power that we produce onto the grid. These extra costs are holding back our renewable energy sector and punishing the people with higher electricity charges. So what can be done? We could re-nationalise the electricity grid. Then we could ensure that the transmission charges are the same no matter where you live or generate and then I could be paying the same for my electricity as someone in Southampton. Are there any bold politicians out there who would make this their policy? This entry was posted in Scotland and tagged electricity, subsidy on 14th December 2014 by the45. I would go further and set up a nationalised utility company in Scotland right next door to the “big 6” and compete them out of business, first in Scotland, then continue by advertising in England, Wales and the whole of Ireland, north and south. With no shareholders to lavish the profits on, the cost per unit would be much less than the “big 6” could afford to compete with. No more cartels working against their customers. The staff that would lose their jobs from the big 6 would be taken on by an expanding nationalised industry. Everybody gains. Industry would get a shot in the arm through much lower energy costs and the homeowner gains and has a stake in an industry that could go so much further with regard to bridging into power generation and renewables. This idea grows arms and legs if you continue thinking about it.